Here is a delightfully gross and fun product all in one. Doctor Dreadful Zombie Lab is the ultimate in experiments you can EAT! It's kind of gross to think that you can make your very own zombie skin, bubbling brains, or zombie barf, then eat it...and it actually tastes good. "The ultimate in disturbingly delicious experiments, Doctor Dreadful's Zombie Lab gives you more terribly tasty treats than ever! Whether brewing bubbly brains or zombie skins, you can eat everything you make. Inject spiders into eye sockets as you dare your friends to consume everything Doctor Dreadful’s Zombie Lab creates! Watch in horror as his jaw rips open and he pukes his brains out! Then wash your fear down with a delicious brain barf beverage! With real puking action this nauseating experience will certainly be one of the tastiest you’ve ever had!" This is perfect for boys who want to gross out their friends or younger sisters. 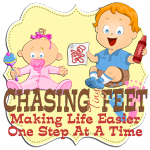 I love that it is geared towards children as an experimental and educational science experiment . To sum it up, it's gross, but fun! Doctor Dreadful Zombie Lab includes 5 pouches of food enough mix to make 40 tasty treats, 1 Brain Molded Beaker , 1 Zombie Head , 1 Gear Base , 3 Body Parts Molds, 1 Cup and 1 Syringe. It is recommended for ages 7 and up and retails for about $24.99. SpinMaster provided me with the items above in order to facilitate this review. All opinions are 100% mine. We often play board games in our house, especially when having friends over. I was thrilled to find out that I would get a look at SpinMaster's new trivia Logo Board Game . This game is great and so much fun to play! The Logo game is based on logos that we see everyday. This game tests your knowledge of pop culture and consumer knowledge of popular brands, logos, products, etc. that you have come to know and love. So, how do you play Logo ? Playing Logo is easy. First off, there are three types of Question Cards: Pot Luck Cards that are general knowledge brand and logo questions, Theme Cards which have answers that all share a common theme, and Picture Cards that have a question related to a photo on the card. There is a Question Master who picks a card and asks the first question (purple in color) on the card to the player on his left. If the player answers correctly, that player moves his game piece to the first purple space on the spiral game board. Play continues with the same player answering the next question on the card. Each time the player answers a question correctly, they move their game piece forward to the next space that matches the question's color. If they answer all the questions on the card, the round is over. If the player answers incorrectly, the Question Master then asks the SAME question to the next player to the left. If this person answers correctly, they move their game piece forward. The Question Master continues to ask this player questions until all the questions on the card are answered and end the round, or gets a wrong answer. Play continues with the next player on the left and so on. To end the game a player must correctly answer a question near the Winning Zone, and there must be no spaces left on the path to match the question's color, then the player moves their game piece into the Winning Zone where it stays for the rest of the game. If the player enters the Winning Zone answering a Red question, then the round is over. On next turn, the player in the Winning Zone must correctly answer answer either two consecutive questions or a red question to win.You can also play this game in teams, but there is a slight variation on how to play. What I love is that this game is really a lot of fun. Plain and simple, the game has rules that are easy to learn and follow. I also love that there is no math or history questions, just fun trivia questions that everyone can answer. Some of the questions are very simple (they all are if you know that answer), but there are also more challenging questions. Even my husband, who prides himself a trivia buff, was stumped on some of them. There is definitely a wide range of categories and questions, plenty enough to find something for everyone in the family. Logo is not only a game that questions you knowledge of current brands, but also throws a curve ball with products and advertising that you do not see anymore. I realized that during this games, if you are playing with younger children, there is a great opportunity to talk to kids about how things used to be, what brands were popular "back then", and explain how people had different values in a different time. This game is not only fun, but has great potential to be educational as well. If you are playing in a group you will find that the play of the game is designed to include each player. Every player has an opportunity to answer, even if it is not their turn. If a question is not answered correctly, the next player gets a turn until no one can answer the question. 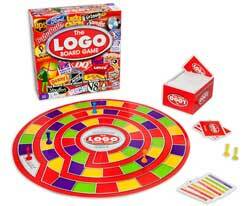 Overall, the Logo board game is very well made. 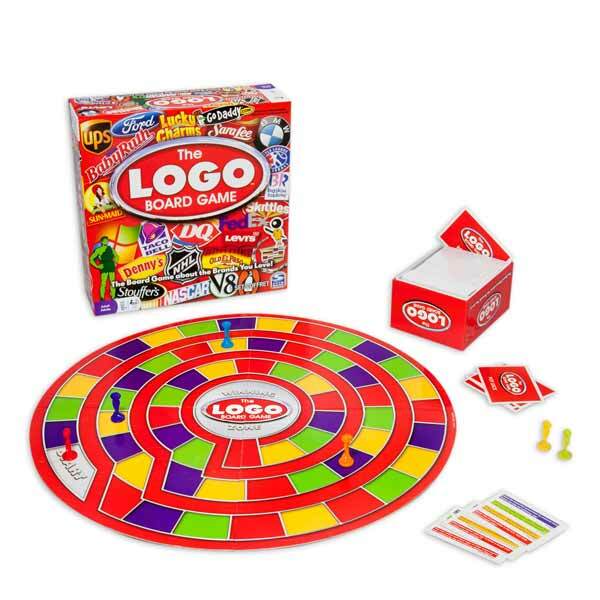 Included in the Logo game is the Logo game board, 400 Question Cards, 6 game pieces, and instructions. It is recommended for ages 12 and up and can be played with 2-6 players. It retails for about $24.99. Little girls everywhere are going to be asking for Bizu this holiday season! Bizu, a "twist on beads", is fashion jewelry for girls that they make to wear. Then, Bizu jewelry can be twisted into adorable characters, kind of like you would make a balloon animal. I love that there are two aspects to this toy, one is the art of beading and the other is the finished product that you can wear, play with, or collect. Transforming Bizu is very easy and I think girls as young as 5 could have fun playing with Bizu . Bizu would also great if you have a birthday party coming up that is "jewelry making" themed. The bracelets are stretchy, so they would fit just about any wrist. Included in a typical 4 pack kit is 4 x beads, 5 x body beads, 16 x legs/arms beads (8 pairs), 4 x tails, 4 x elastics with clasps, 1 x bracelet beading tool, 1 x clip, 4 character template cards, 1 instruction guide. These sets retail for about $12.99, depending on the retailer.